Croydon is a major town in South London, historically part of Surrey. It boasts a number of renowned arts venues including Fairfield Halls, the Ashcroft Theatre and the Croydon Clocktower. Croydon can be reached by road via the A23 and A232. It is well served by public transport. 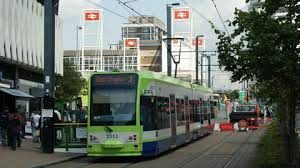 The main railway station, East Croydon, is a major railway hub with regular fast services to central London. Lanes School of Driving was first created in 1914. Lanes soon became a fixture in the local community. Starting from humble beginnings, Lanes flourished over time to become one of the largest independent driving schools in the UK. Lanes provides driving instruction of the highest quality and is backed by its experience in teaching generations of drivers. At Lanes students have the assurance of individual attention and tailored lessons. Students often lead lives with hectic schedules. Lanes offers students flexibility in booking their lessons at their convenience. Lanes deals with students at all skill levels and students are encouraged to learn at their own pace. In addition Lanes is committed to one-to-one tuition which ensures that students can learn unimpeded by distractions from others. Lanes offers its students a selection of new cars furnished with the latest technology. Students do not have to come to Lanes as home pickups are available on request. Lanes have been providing driving lessons in Croydon, Surrey for many years. Please call us today on 020 8166 5678 or click here to send us an email via the contact page. Lanes has a team of expert instructors on call. All of our instructors are qualified as Approved Driving instructors registered with the DSA. A large number of our instructors began their initial training at Lanes. At Lanes we provide each student with their own personal instructor who will stay with them for the duration of their lessons. In our experience, the familiarity that develops between the student and the instructor allows for a much more efficient learning process. Lanes have a team of driving instructors in Croydon, Surrey. Please call us today on 020 8166 5678 or click here to send us an email via the contact page. It is not unusual for beginner drivers to feel nervous. We find that anxious female students often do not want to learn in the presence of a male instructor. Our solution is to offer female driving instructors as an option to all of our students. Our female driving instructors are calm and easygoing. They will not put too much pressure on their students. This allows female students to relax, which leads to better concentration and faster learning. Lanes have a selection of female driving instructors in Croydon, Surrey. Please call us today on 020 8166 5678 or click hereto send us an email via the contact page. Some of our students do not want to learn in a manual car and would prefer an automatic. Proponents of manual cars will say that they afford greater control. Whilst this is true, automatic cars are certainly less complex for the beginner. Stalling is a huge problem for beginners. It will be great news to them that stalling is impossible in automatic cars. Automatic cars are easier to learn on and students will progress more rapidly in them. Lanes have a selection of automatic driving instructors in Croydon, Surrey. Please call us today on 020 8166 5678 or click here to send us an email via the contact page.